Trust is a pillar of good business. Indeed, building trust is one of the most important engines of business. After all, the decision to purchase a product or service is typically based on the fact that a consumer trusts the company from which he or she is making the purchase. As an example, consider the case of Volkswagen. Over the years, Volkswagen has established itself as one of the most trusted companies in the automotive sector. It has done this by creating well designed, safe and reliable vehicles under a tried and true brand with widespread popular appeal. Of course, when businesses are found to be untrustworthy (e.g., Volkswagen in the wake of the recent emissions scandal), customers quickly turn elsewhere, leaving the business in question to rebuild its reputation. For businesses that lose the trust of their customers, the bad news is that building trust is by no means an easy or rapid process. Indeed, building trust is something that must be done on both a macro and micro level. On the one hand, there is the trust built by reputation—this is the type of trust built up over time by developing a brand and getting buy in. In this case, advertising and promotion are key elements. On the other hand, there is the trust built on everyday interactions—the type to trust that accrues through positive interactions between customer service representatives and customers. While the first type of trust is driven by executive decisions (e.g., the decision to brand a product in a specific manner), the second type of trust rests on the commitment and performance of managers and all employees, especially those in customer service positions. In this two-part article we explore how to build trust and further explore how training plays a key role in building trust both within and beyond an organization. Despite the growing appeal of artisanal products (e.g., the popularity of Etsy crafters) and indie brands (e.g., the popularity of micro roasteries and breweries among millennial consumers), tried and true brands continue to dominate the market, especially where large purchases are concerned. While a start-up coffee company or chocolate factory may be able to gain customers over time, brand and reputation continue to matter a great deal when it comes to big-ticket items, such as appliances and electronics. In the wild west days of early computing, Apple was by no means a trusted brand. Indeed, back in the early 1980s, when the now ubiquitous technology company attempted to sell its Apple Lisa desktop computer with a price tag of $10,000, the company was considered anything but trustworthy. Over the years, however, Apple’s brand has grown and become associated with reliable, user-friendly and more or less affordable products. How did Apple become one of the most trusted company’s in the nation? First, Apple’s designs are so unique the company’s products are synonymous with its brand. With or without the Apple logo, people around the world can recognize an Apple product immediately. Second, over the past three decades, the company has consistently sought to make products that respond to individual consumers’ needs. In contrast to nearly all other technology companies, which tend to develop technologies for business and only later adapt them to individual consumer needs, Apple is a manufacturer committed to making products for consumers. As a result, the brand has become synonymous with individuals. Augmenting the company’s reputation as a brand committed to making computer technologies for regular people is the company’s approach to customer service. Unlike most computer manufacturers, Apple has increased its reputation as a trusted brand—a company committed to delivering new technologies to people who may or may not consider themselves technologically inclined—by building computer support and repair services into its products. While compliance is often treated as a purely bureaucratic matter, compliance is also a pillar of trust. Compliance, at its heart, is about doing business in an ethical and legal manner. When companies are in compliance, consumers rarely notice. When companies are not in compliance, however, the results can be immediate, devastating and have long-term negative impacts. Historically, Volkswagen has built its reputation on the development of environmentally friendly vehicles (e.g., in the 1960s, the company encouraged consumers to “Think Small” and more recently, they have encouraged consumers to “Think Blue” as part of their effort to become the world’s most ecologically minded car manufacturer). Over the past month, however, the company’s longstanding reputation as a trusted manufacturer has crumbled. 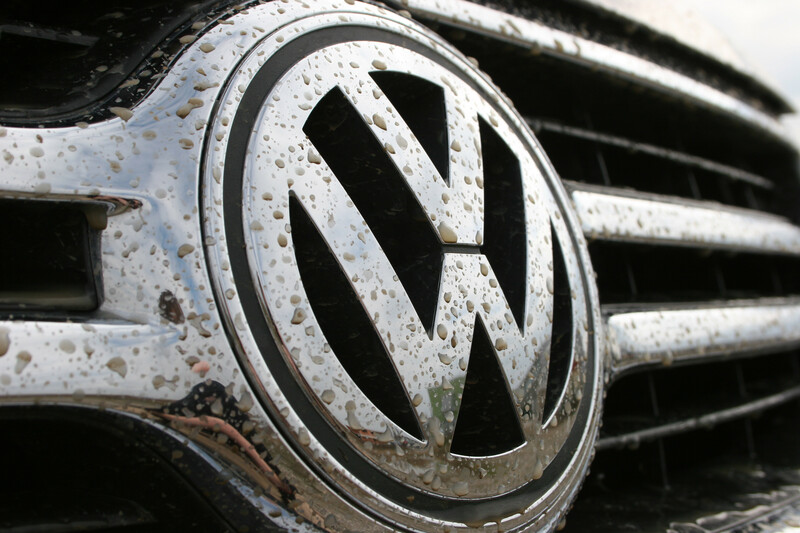 On September 18, Volkswagen admitted to using illegal software to manipulate emissions tests on diesel vehicles. Its non-compliance has already been devastating; since Volkswagen admitted to manipulating emissions tests, their stock market value has sunk by nearly a quarter. In addition, the company has suffered internal turmoil with a leadership upheaval and investigations being launched worldwide. It’s no surprise then that on October 16, Volkswagen announced that it was creating a new compliance position, which will be assumed by Daimler manager Christine Hohmann-Dennhard. Hohmann-Dennhard will serve on Volkswagen’s board in a position focused on integrity and legal affairs and oversee the company’s attempt to come back into compliance on emissions and regain the trust of consumers and law makers around the world. Rapport: Creating common ground with one’s customers. Honesty: Telling the truth and being transparent. Respect: Showing respect for customers, regardless of their background. Integrity: Walking one’s talk; putting policies into action. Reliability: Being available when one needs to be available. Competency: Demonstrating and sharing expertise with no strings attached. In 2008, most Americans had never heard of the TD Bank, and this is no surprise. TD Bank (originally called the Toronto Dominion Bank) was an established national bank in Canada but had just started to open branches in the US due to a number of strategic new alliances. Less than one decade later, TD Bank has more branches in the US than it does in Canada and in some cities, such as New York, appears to have a branch every few blocks. In many respects, no type of business needs to work harder to gain trust than a bank. After all, banks are rarely automatically seen to be on the side of customers. Despite this challenge, however, TD Bank has quickly managed to gain a hold in the already saturated US banking market. Its success rests on its branding and most notably, on its customer service. Just as its popularity in Canada took off in the 1980s when it became one of the first banks to offer ATMs, which it cleverly branded as “green machines,” in the US, the bank has recruited customers by appealing directly to customers’ needs. From the bank’s early morning, late night and weekend hours to its free candy for children and free doggie biscuits for pets to its penny rolling machines, TD consistency sends out a message to customers that their needs (and even their children’s and pets’ needs) matter. In the process, the bank has rapidly gained the trust of consumers at a time when banks are among the least trusted organizations in the nation. In this post, we’ve examined how to build trust through reputation, compliance and customer service. In Part 2 of this article, we explore the specific ways in which training can support an organization’s reputation as a trusted entity. Specific attention to paid to risk management training, compliance training and customer service training.